On Valentine's Day, flowers aren't just for couples in love. They can bring joy to anyone special in your life, whether it's a parent, sibling, or even a co-worker. 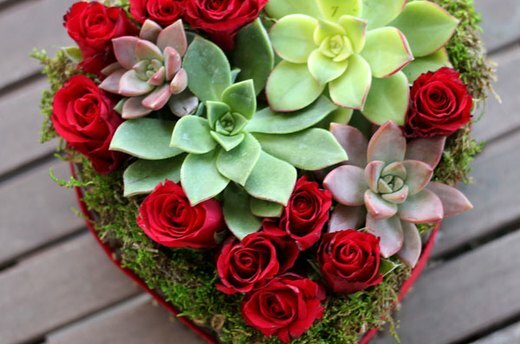 This Valentine's arrangement is easy to make, and definitely more heartfelt than a standard bouquet from a florist. After all, when you make someone flowers, you make someone's day. 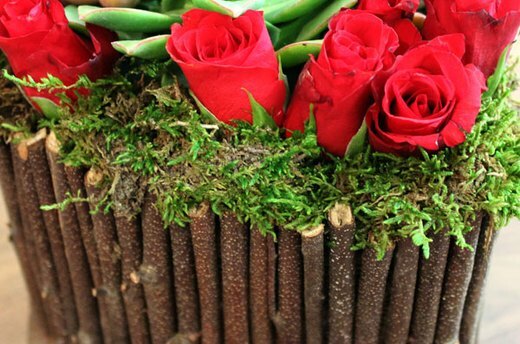 To create the arrangement's container, you will need an empty heart-shaped candy box, burlap ribbon, twigs or thin branches, and red ribbon. 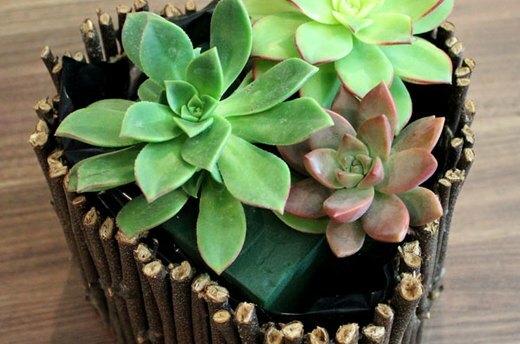 The container will be filled with floral foam, succulents, flowers and moss. You will also need a plastic garbage bag, a glue gun and scissors. 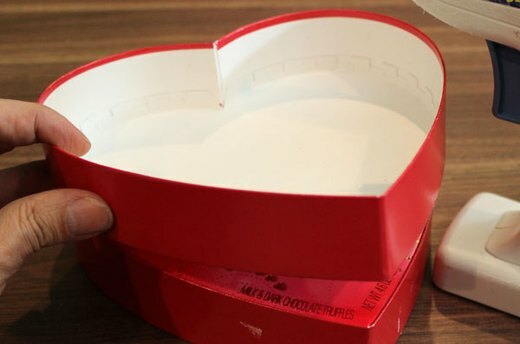 Start with a heart-shaped cardboard candy box, which typically has a top and bottom. Using a glue gun, glue the backs of each piece together. This first step doubles the height of the box and provides more surface area for twigs to be glued on later. 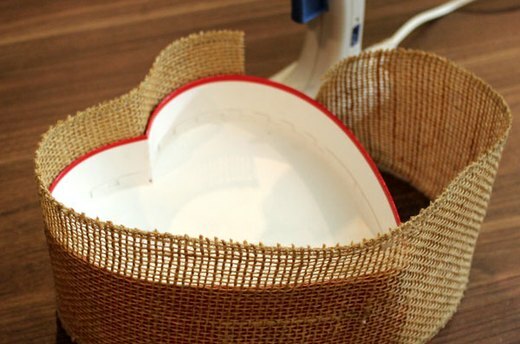 Cover the sides of the heart-shaped box with a four-inch burlap ribbon, which you can find at the crafts store. Use a glue gun to attach it, but be careful not to burn your fingers. Wrapping the box in burlap helps to hide any printing on the cardboard. 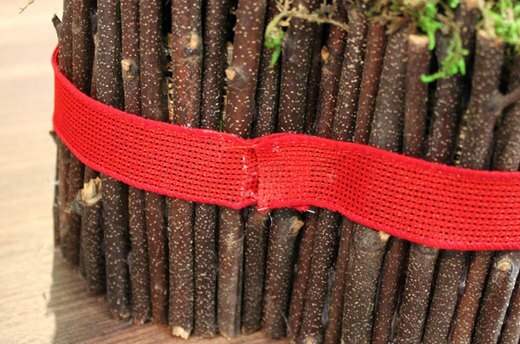 Cut twigs or thin branches so they are just higher than the burlap ribbon. If you do not have access to twigs in your yard, branches are available in bunches in the floral supply section of the crafts store. 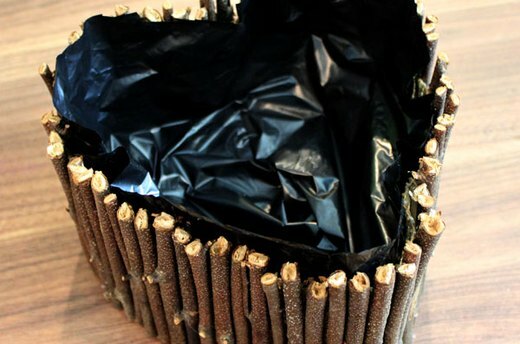 Use a glue gun to line the twigs around the box. 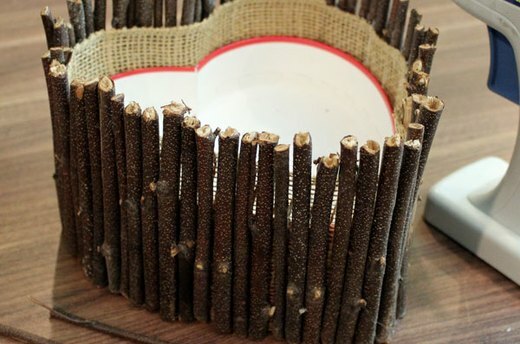 The hot glue will permeate through the holes in the burlap and adhere the twigs directly to the box. Cut the corner of a plastic trash bag and place the plastic in the box to line it. Remove any excess plastic around the rim of the container with some scissors. 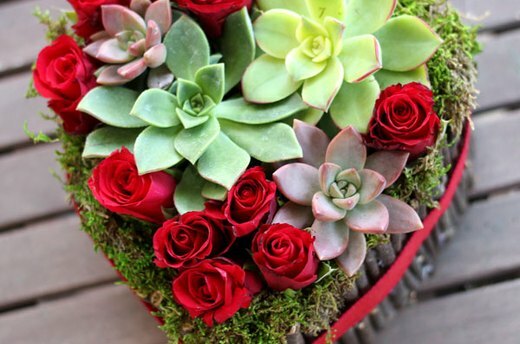 Floral foam helps keep the flowers and succulents in the arrangement fresh. 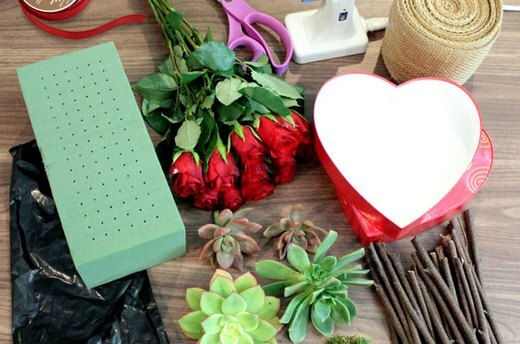 You can buy floral foam at the crafts store; be sure to buy the floral foam designated for fresh flowers rather than the foam made for silk flowers. Cut the foam in pieces so it fits in the container, and soak the foam in water according to package directions, usually about five minutes. Insert the stems of the succulents in the floral foam. 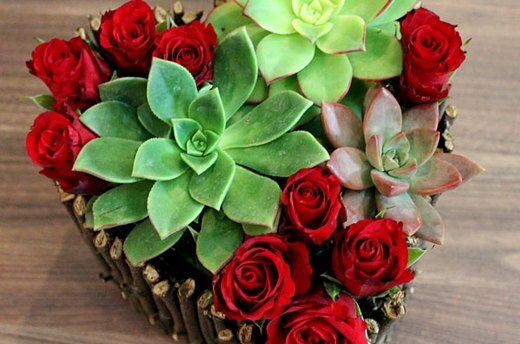 Because the container's heart shape is a key design element of the arrangement, keep the succulents within the boundaries of the rim so the shape is not hidden. Use the flowers to fill out the shape of the heart within the container, cutting the flower stems to about one inch and inserting them into the floral foam. I used red roses, but you can select any flowers you wish. Smaller buds do give you more control in creating the heart shape. There will likely be gaps on the perimeter of the arrangement, so fill in these gaps with moss. The moss not only hides openings, it helps define the heart shape. 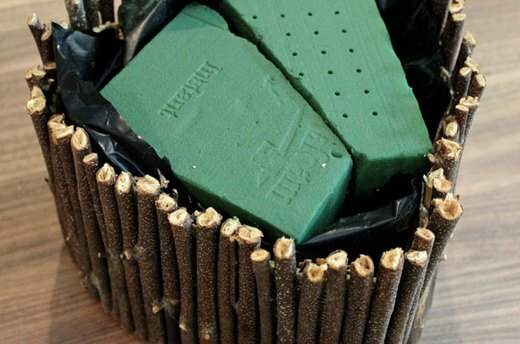 To complete the arrangement, attach a red ribbon around the container, hot gluing the ribbon to the center of the twigs. This final step is not necessary, but it does add a professional finishing touch to the flowers. This Valentine's arrangement will surely make somebody's day, but your heartfelt gift can be enjoyed even after the flowers are gone. The twig-lined container can continue to be used as a keepsake box, or as a vessel for silk flowers. So this arrangement, like your love and appreciation, can last forever.